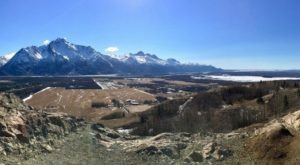 Alaskans know how to have a great time during our winters. 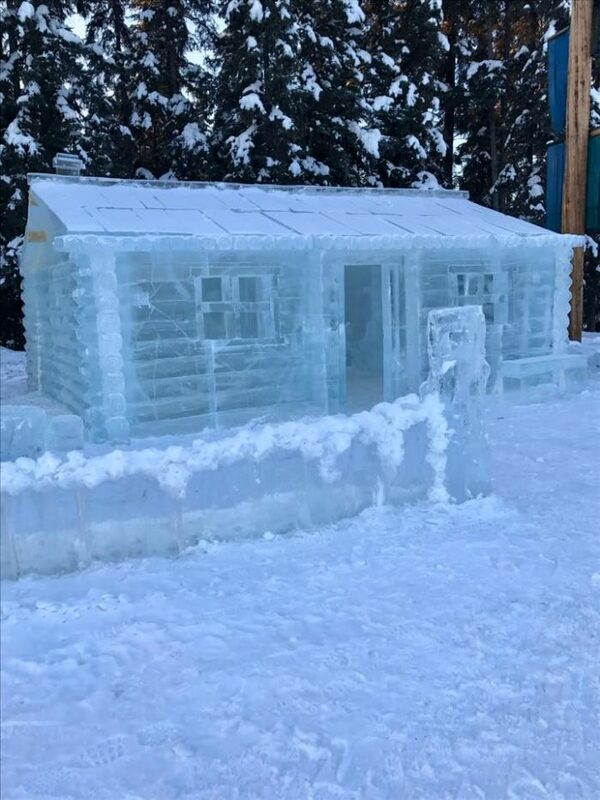 And because of our deliciously cool temperatures, we have the honor of hosting the World Ice Art Championships, here in Fairbanks. 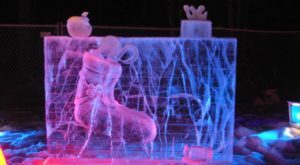 This year, The World Ice Art Championships is celebrating its 29th year celebrating ice artists from all around the world. 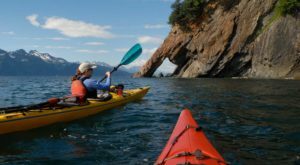 This Alaska winter event is a must see during our long winter! 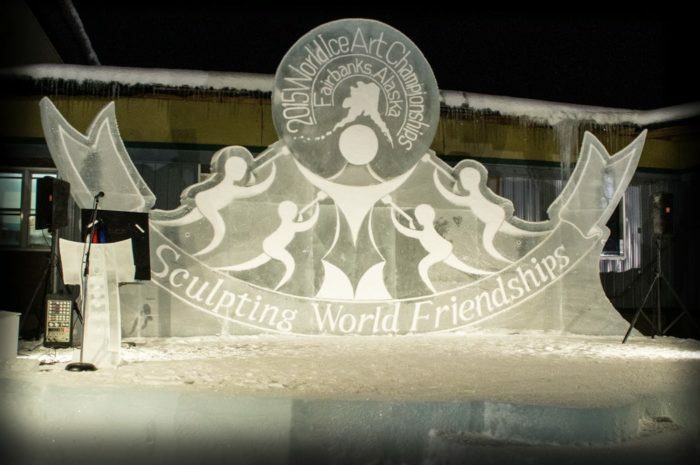 The World Ice Art Championships are held every year in Fairbanks, Alaska. 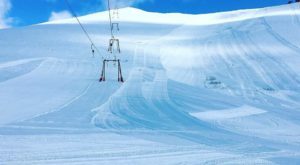 This incredible event runs for an impressive 6 week span through February and March! Gatherings like this event have been held every spring since the 1930's. These were planned to begin to break up the dark, long winters for residents, so they could get outside and have some fun! The Ice Alaska event is staffed only by volunteers, and has over 100 ice artist competitors from over nine different countries around the world! Every year there are over 100 ice sculptures competed. The Kids Park is another huge attraction, and has lots of playful ice sculptures and ice slides. There are many different categories for the ice artists at the competition. 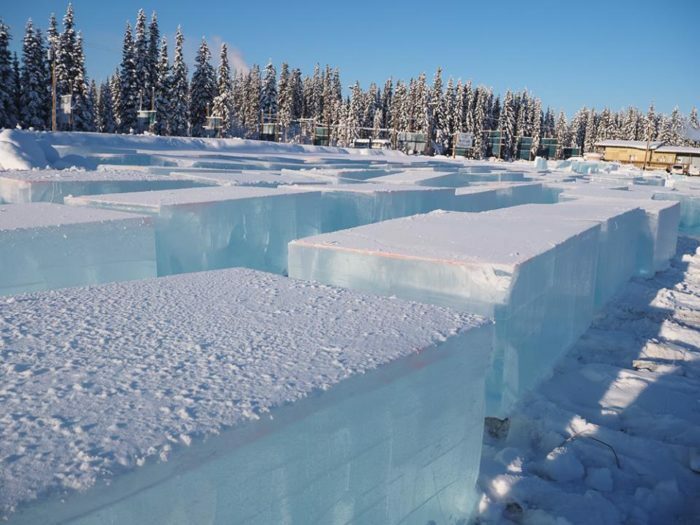 Ice blocks are 6'x4'x3', and weight approximately 1,720 lbs each, and are provided by Ice Alaska. The one person classic is provided with one block of ice and 36 hours to carve. 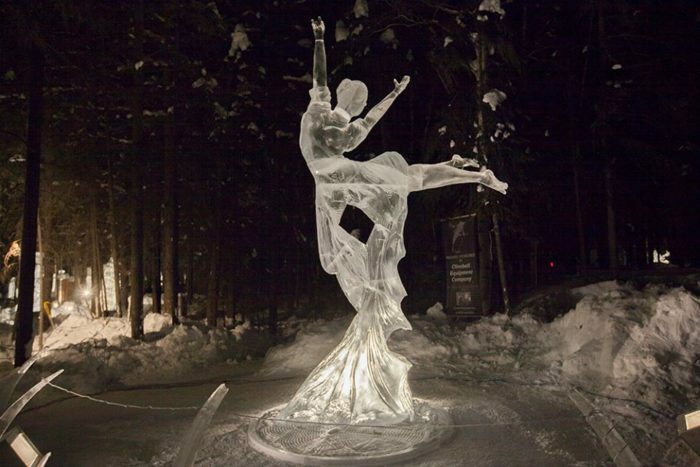 The two person classic is provided with two blocks of ice, and 60 hours to carve. The multi-block team is given nine chunks of ice, coming in at a whopping 15,490 lbs of ice! They are given only 132 hours to complete their sculpture! 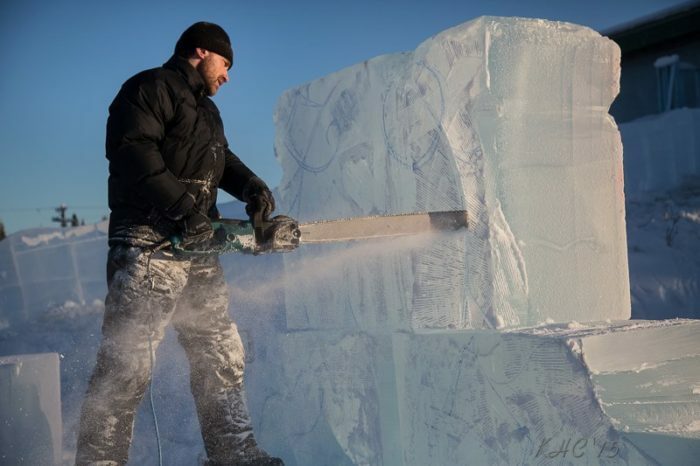 These artists work with primarily chainsaws to help gouge away the excess ice, and reveal the sculpture beneath. In past years, ice artist participants have traveled from over 45 different countries from all around the world. The results are spectacular. With sculptures ranging from buildings, to delicate artwork and fantastical creatures, it's a wonderful event to bring the whole family to! 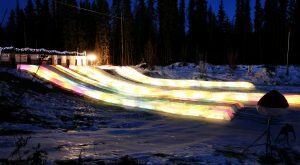 The finished pieces are judged under white lights, and then transition to spectacular colored lights that are set up to be viewed by the public. 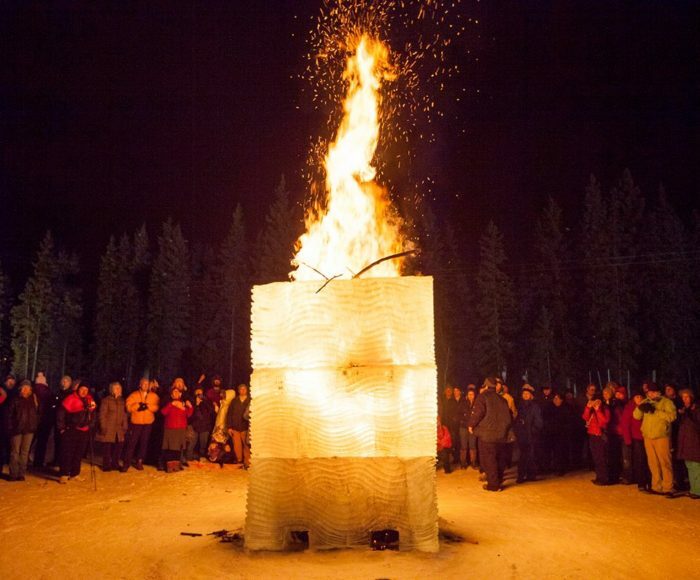 The entire Fairbanks community benefits from this amazing annual exhibition. 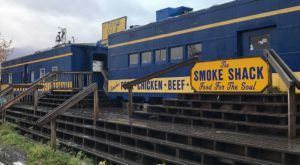 Ice Alaska spends about $600,000 locally on gas, fuel, food, lodging, etc, and helps to support the Fairbanks economy. This event runs from mid February until the end of March. Admission is $45 per adult season pass, $22.50 per youth season pass, and $150 for a family punch card of 20 punches. 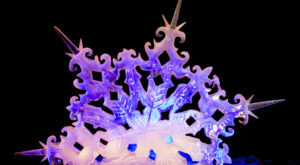 For more information, news and updates, check out the World Ice Art Championships official website. You can also purchase your tickets through their website. Looking for somewhere to stay while in town for the championships? 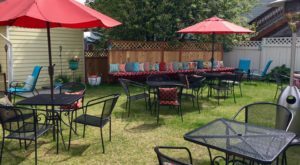 Check out one of our favorite countryside bed and breakfasts in Fairbanks!